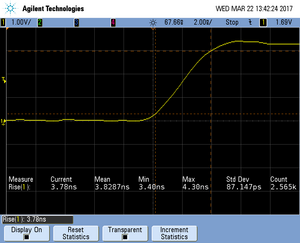 This article describes how to get started with trace on the Silicon Labs EFM32GG990 MCU. This article assumes that there is already a basic knowledge about trace in general (what is trace, what different implementations of trace are there, etc.). If this is not the case, we recommend to read Trace chapter in the J-Link User Manual (UM08001). 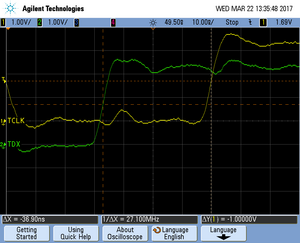 The Silicon Labs EFM32GG990 MCU implements tracing via pins , so a J-Trace can be used for tracing. The following sample project is designed to be used with J-Trace PRO and Ozone to demonstrate streaming trace. 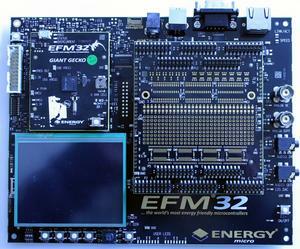 The project has been tested with the minimum requirements mentioned above and a EFM32GG-DK3750 evaluation board. The sample project comes with a pre-configured project file for Ozone that runs out-of-the box. Please note that this particular needs additional hardware settings to enable external trace probes, see section Specifics/Limitations. In order to rebuild the sample project, SEGGER Embedded Studio can be used. Press button PB2 below the menu point "CFG"
Navigate to the entry "Debug Control" with the joystick and select "IN"
Navigate to the entry "ETM Trace" with the joystick and select "ON"
If everything was successfull in the top left corner it should read "Debug: TRACE IN"
For more information see the "Development Kit EFM32GG-DK3750" user manual. This page was last modified on 25 May 2018, at 14:05.